When you think Barcelona architecture, there is no doubt that the works by Antoni Gaudí come to mind (think the Sagrada Familia, Park Güell, Casa Batlló…). 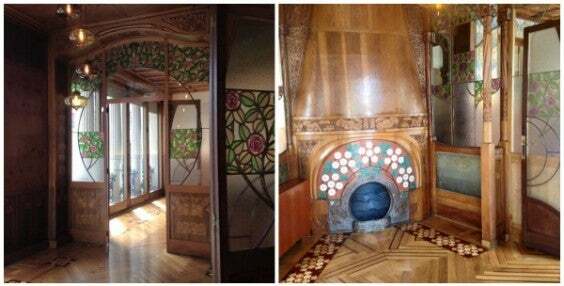 But if you’re visiting Barcelona you can’t miss the works by another master of modernisme (Art Nouveau), Lluís Domènech i Montaner. 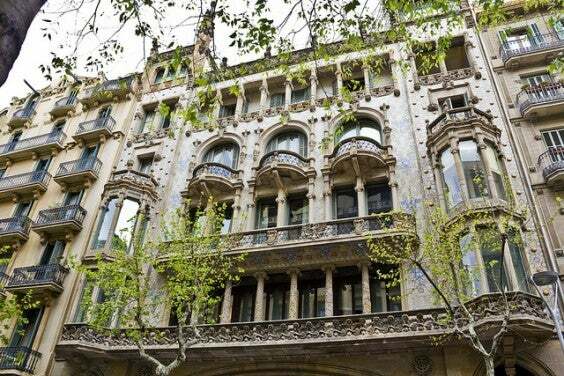 Come take a photo-tour of the Spanish Catalan architect’s Barcelona works and find out how you can visit them on your next stop in the Mediterranean metropolitan. 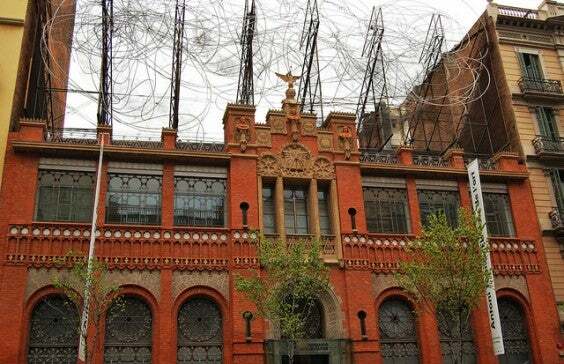 Once the Editorial Montaner i Simon publishing house, it is now the Fundació Antoni Tàpies cultural center and museum. 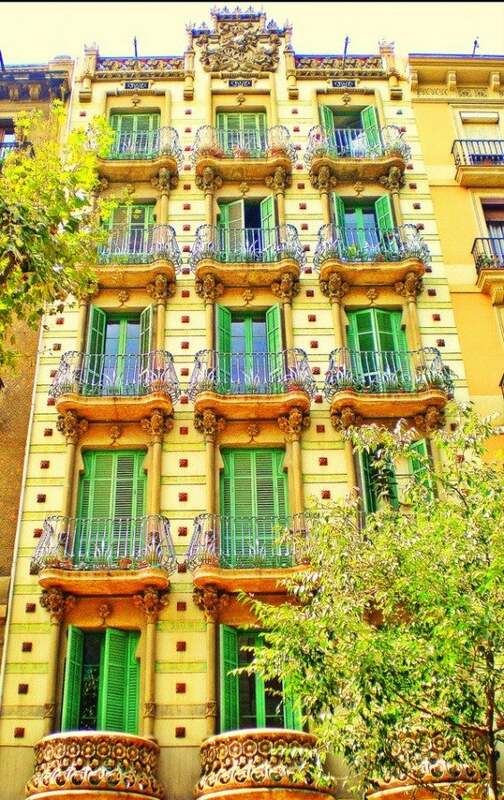 This building is one of the first examples in Barcelona of the new Catalan architectural style, modernisme (Art Nouveau). Opening Hours: Tuesday to Sunday, 10a.m. – 7p.m. Mondays closed. 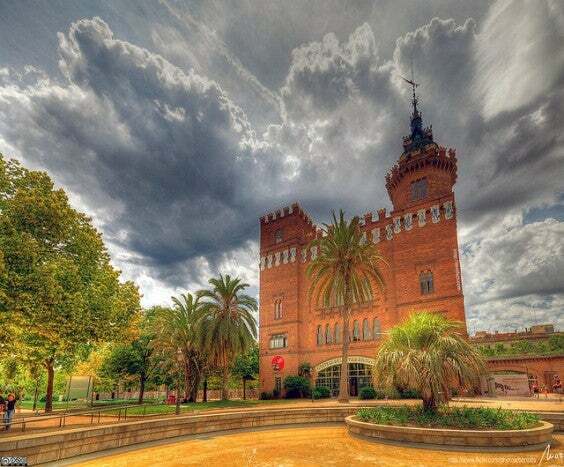 The Castle of the Three Dragons (Castell dels Tres Dracs in Catalan) was built as a cafe/restaurant for the Universal Exposition of Barcelona in 1888. 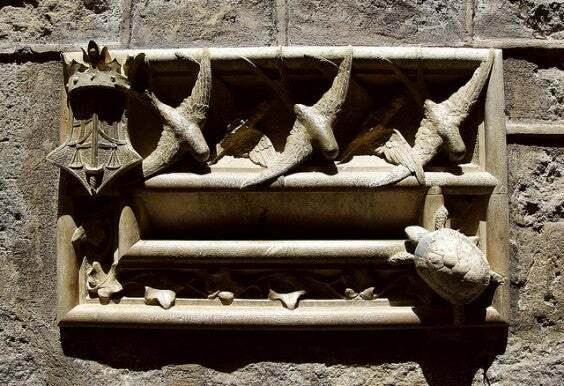 Today, it is home to the Zoology and Geology Museums of Barcelona. Opening Hours: Temporarily closed to the public. The Palace of Ramon Montaner was commissioned by Ramon Montaner, one of the co-owners of the publishing house Editorial Montaner i Simón. Currently, the building is the seat of the Spanish government in Barcelona. Lluís Domènech i Montaner was commissioned by the printer Josep Thomas to design the Casa Thomas, which had Josep’s workshop on the bottom floor and the family’s private residence on the top floor. In 1912, three additional floors were added by the architect Francesc Guàrdia i Vial. The Casa Lamadrid is one of Domènech i Montaner’s few works that was adapted for a very narrow site with little natural light. 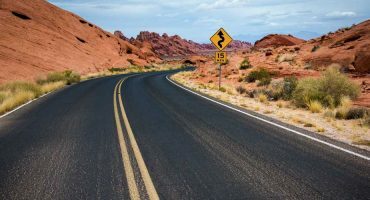 It was built as a private residence in 1902 and continues to have this same function today. 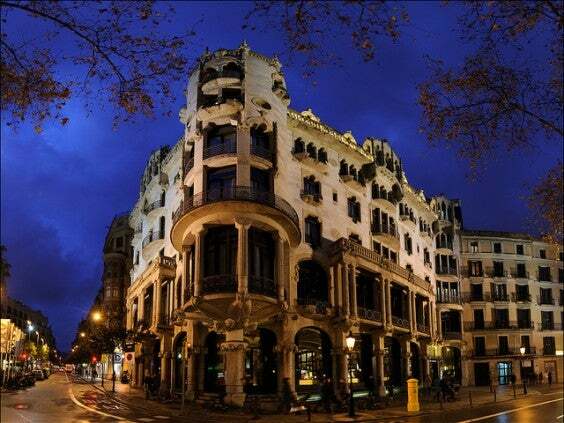 Fonda Espanya is the restaurant located in the Hotel España, situated off the Rambla in the Raval neighborhood. Hotel España is one of the oldest hotel establishments in Barcelona, originally constructed in 1850 as rental apartments, shops and a bathing house. In 1858, its function changed to be a high-class boarding house and during the 1888 International Exposition of Barcelona, the “leading boarding house” of the city began to advertise itself as a hotel, to be associated with higher quality and service. 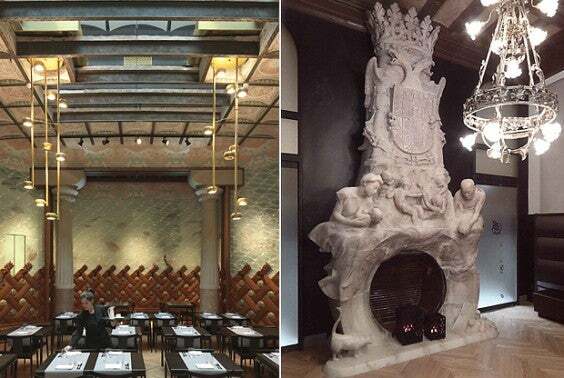 More than 10 years later, Domènech i Montaner was hired to complete the renovation and decoration of Fonda Espanya’s dining room, which to this day is a restaurant open to the public. Restaurant Opening Hours: From 1p.m. to 4p.m. and from 8p.m. to 11p.m. Closed Sunday evenings and bank holiday evenings. The Casa de l’Ardiaca, located next to the Barcelona Cathedral, was the building where the archdeacons lived from the 12th century onwards. Since then, the building has undergone many renovations. 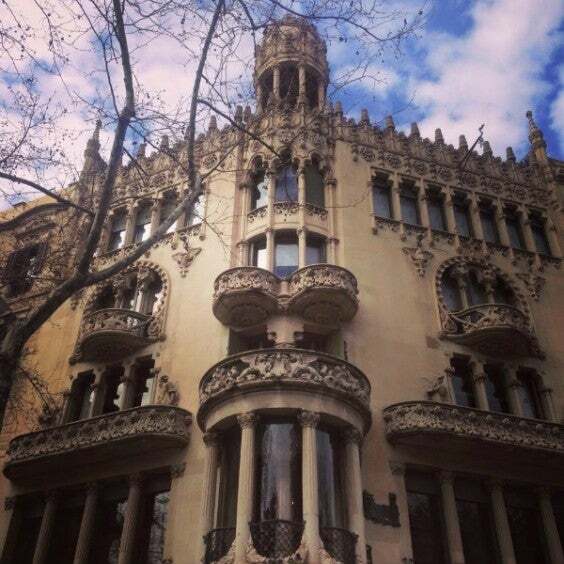 In 1895, the building became the headquarters of the Lawyer’s Association of Barcelona, which in 1902, hired Domènech i Montaner to decorate the building which was a mix of Gothic and Renaissance styles. Make sure to check out the architect’s impressive Art Nouveau mailbox on the façade. Today, the building is home to Barcelona’s Municipal Archive and visitors can access the courtyard which contain archaelogical remains. Monday to Friday, from 9am to 7.30pm. 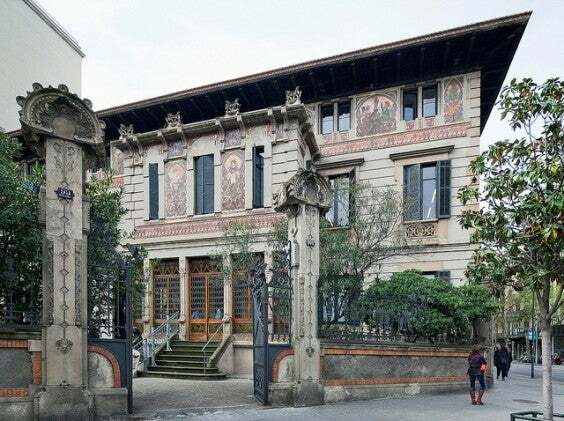 Francesca Morera i Ortiz inherited the building, previously called the Rocamora building from her uncle, Antoni Morera i Busó, and commissioned Domènech i Montaner to remodel both the exterior and interior of the building in the Art Nouveau style. Francesca passed before the renovation was finished and her son, Albert Lleó i Morera took over, giving the home the name it has today Lleó i Morera House (Casa Lleó Morera). Today, the main floor and back patio are open to the public. Opening Hours: 60 minute guided tour: Tuesday to Sunday, at 11:00h. 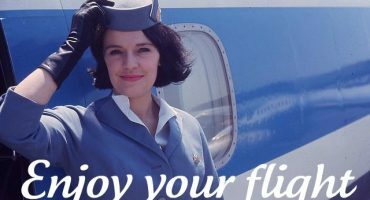 30 minute express guided tour: 10:00h, 10:30h, 11:30h, 12:30h, 13:00h, 15:30h, 16:00h, 16:30h, 17:30h & 18:30h. The Palace of Catalan Music (Palau de la Música Catalana), UNESCO World Heritage Site, was designed in the modernista (Art Nouveau) style by Domènech i Montaner. The architect was commissioned by the Catalan Choral Society. 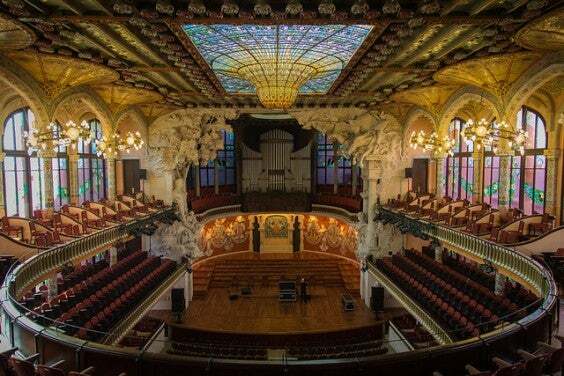 The Palau de la Música still maintains its original function as a concert hall (you can consult the programme here). Guided tours are also offered and there are two restaurants, Cafe Foyer and Restaurant Mirador del Palau, which are open to the public. Opening Hours (Tours): Daily: from 10a.m. to 3.30p.m. 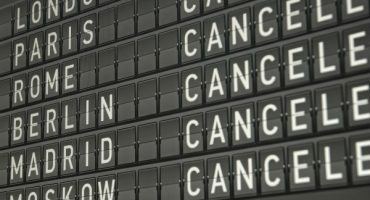 Easter and July: from 10a.m. to 6p.m. August: from 9a.m. to 8p.m. The Hospital of the Holy Cross and Saint Paul, UNESCO World Heritage Site, was a fully functional hospital complex until 2009. Today, visitors can tour the underground tunnels, Sant Rafael, Sant Jordi and the Administration pavillions. This impressive Art Nouveau complex is truly a “city within a city”. 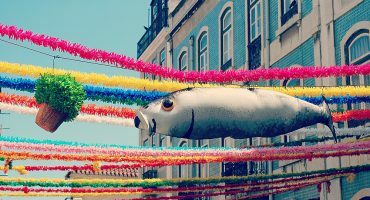 Opening Hours: Find the schedule here. The Fuster House was a gift from Mariano Fuster i Fuster to his wife Consuelo Fabra i Puig, who directly supervised the design and construction under Domènech i Montaner. It was considered the most expensive house in Barcelona at the time and due to these elevated construction costs, the Fuster family left the home in the early 1920s. In 1962, an electrical company bought the building with plans to demolish it to construct a skyscraper, but due to public uproar, thankfully this was never carried out. In 2000, the building was acquired by a hotel chain and since 2004 has been known as the Hotel Casa Fuster.